A wealth of information on hardware as well as software is scanned and can be used to create reports through the intuitive report editor. Check the license compliance status of the software inventory using a built-in license compliance tool. Get an estimate on how much it costs to become fully compliant and track down unused licenses. Integrate Active Directory through the automatic import of user and OU information. Link reports to email alerts by for example setting up a weekly email informing of the toner status of all network printers or get updated on any servers with not enough free disk space left. Lansweeper is designed to be both intuitive and flexible. The community hosts a wealth of information as well as the possibility to ask fellow IT-pros for advice or help. Lansweeper Network Inventory (sometimes referred to as Lansweeper) was added by 10litrov in Feb 2010 and the latest update was made in May 2018. The list of alternatives was updated Mar 2019 There is a history of all activites on Lansweeper Network Inventory in our Activity Log. It's possible to update the information on Lansweeper Network Inventory or report it as discontinued, duplicated or spam. Free Software Asset Management, Inventory software and hardware in your Company. It's Easy, Fast and Free!!. systems management tool that scans Windows computers to collect hardware, software, and Windows configuration data. 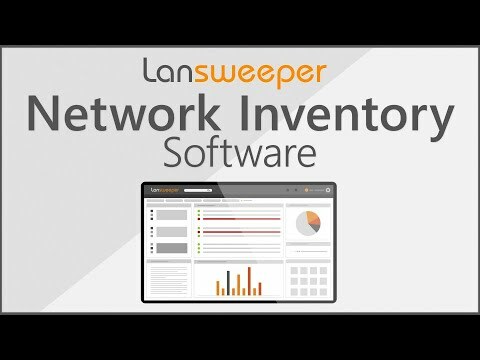 Alternatives to Lansweeper Network Inventory for Windows, Linux, Web, Mac, Android and more. Filter by license to discover only free or Open Source alternatives. This list contains a total of 25+ apps similar to Lansweeper Network Inventory. Maybe you want to be the first to submit a comment about Lansweeper Network Inventory? Just click the button up to your right!